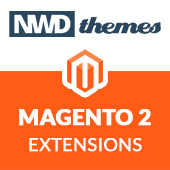 Magento 2 is a great open-source ecommerce platform. It has wide variety of features, gives you full control on design, has large community and so on. 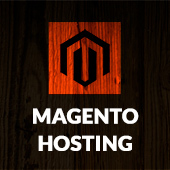 But most important nowadays is that Magento is one of the most search engine friendly e-commerce platforms. Many store owners do not use all its power due to a laсk of knowledge or laсk of time. But if you are looking to increase revenues and site visitors, you need to check our magento 2 seo tips on how to take advantage of Magento 2 seo features available out-of-the-box! List include both off-page and on-page tips. We will try to cover all bottle-neck places so you can be sure in your store. If you do use both www.domain.com and domain.com you need to set preferred domain name in Google Webmaster Tools. The preferred domain is the one that you would liked used to index your site’s pages. Use HTTPS. It is more secure, your customers feel more secure. It is also a ranking signal for search engines. Duplicated content is one of the most important SEO issue affecting magento stores. In most cases duplicates occur because of product filtering, sorting and pagination. Another common case is same product in different categories and variation of the same product. Set up Google Search Console (Google Webmaster Tools) and Google Analytics. With Google Search Console, you can monitor and track your site’s search performance, doing so can help you understand how Google views your site. Google Analytics is one of the best services to track data about visitors on your site. Add ALT text to product images. It is really good habit which improve your site accessibility. Google places a relatively high value on alt text to determine not only what is on the image but also the topic of the surrounding text. You can do it on product edit page in Images And Videos section. Optimize the images itself. Product page with too heavy images will take longer to load. Page speed is important for both search engines and customers. There are a number of ways to do it – directly on your server or using 3rd-party service like TinyPNG. These steps can be done via magento backend. Dont use default descriptions. Use unique Meta data for categories. Consider creating a blog on your site. Well-written post can drive a lot of traffic to your site. Add Q&A section to your site. User-generated content are great for attracting visitors. Use Video on product pages. Rich-media content is the best to show product benefits. Magento 2 magento, magento seo, seo tips, tip. permalink.